Hi there! 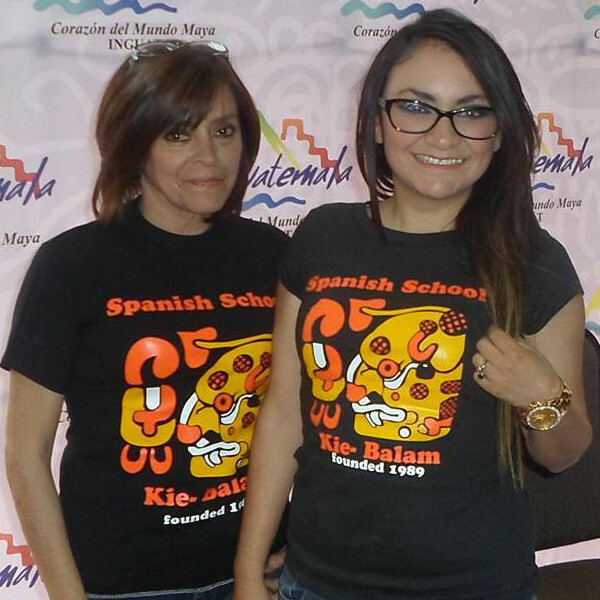 We are Ana and Mariela from Kie Balam Spanish School. Our school was founded in 1989 by Martha Mora, Ana's aunt. Our teachers enjoy delivering creative, structured and exciting classes to foreign students. I am Ana, I am currently leading the school and have been working here for 6 years. For us, it is always a pleasure to welcome students from abroad in our family-run school. We invite you to see, live and explore life and culture in Guatemala with us. Whether you like private and personal classes or cheering on in groups, we will make sure that you will have the environment and the experience you need to progress fast. We are located in the city center and provide large spaces to learn. Taking a walk to the Central Park of Quetzaltenango takes only a few minutes. The park is surrounded by nice caf�s, restaurants, banks and bars. You still cannot imagine what it is like to learn Spanish here? Do you have questions? Do not hesitate to contact us! We would love to welcome you here in our school!